There are a number of reasons why someone would need to ship goods from the mainland to the Hawaiian islands but whatever the reason we’re here to help..
We offer shipping services to Hawaii for all kinds of goods and all sizes from any U.S city. Our specialty is consolidation, which means lower rates for our clients. Generally, our service is international however, due to the nature of shipping personal items and vehicles to Hawaii, it’s become a large part of our business. When you are shipping goods or relocating to Hawaii with personal effects, there are a couple different choices at your disposal. 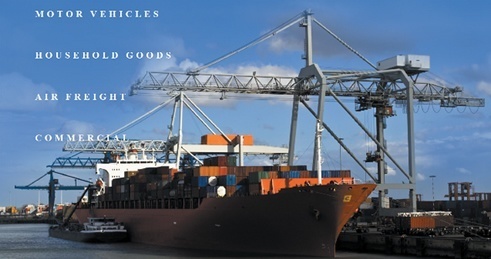 We offer a door-to-door service, door-to-port, and port-to-port for all shipments to Hawaii. Depending on where the goods are located, we also have a pickup department that can arrange for inland transportation of your goods or vehicle before they get on the ocean. After pickup, personal items will be transported to our west coast operations warehouse first where we will prepare the proper forms for port clearance. We’ll also inspect the integrity of the shipment to make sure it’s ready to be transported in the container to Hawaii. If you are relocating to Hawaii from a city close to our warehouse in Los Angeles, you can also deliver the household goods, car or whatever it is that you’re shipping, yourself, if you prefer. Fortunately, there are no customs declarations or other intricate processes like those involved in international imports. How Long Does it Take to Ship to Hawaii? The time frame can change depending on a lot of factors like weather conditions, amount of time it takes to consolidate (if you choose this option), size of the shipment, domestic transport and many others. Generally once we have the goods at our warehouse and get the container to the port, shipments generally take 3-4 weeks on the water and it really depends on the route taken by the steam line. This applies to shipments both to and from Hawaii. For instance, a vessel may take an indirect route from Honolulu to Tacoma Washington and then work down the coast to Long Beach. Find out how much it will cost to ship your goods to Hawaii by calling one of our specialists or requesting your free quote using the form.